at times, may force you to stay at your Makati condo for rent than start the house-hunting process. This means, to minimize the inherent process risks of home-buying, make sure you know what you are getting yourself into. If you have no idea how the process goes, here are some no-nonsense information for you. Take note that this is not to discourage you from becoming a homeowner, but to tell you that the struggle is so real. Home-buying decisions are highly subjective. However, when it comes to the process, it is pretty much the same for everybody. Nevertheless, it doesn’t necessarily mean that you cannot take control of the process. You could if you will just invest time researching about it. You will not learn everything about it but learn as much as you possibly can from debt to income ratio to contract to sell. Once you get to know the process, the biggest mistake to commit is getting emotionally tied to it. Don’t. Walk away from an offer if you’re not happy with it. Home-buying is not only about the upfront fees such as down payment and closing costs. Instead, you also have to prepare for legal fees, stamp duty, home inspection fee, mortgage insurance, loan application fee, document processing fees, bank valuation fee, title registration fee, and so on. Of course, the list doesn’t even include the monthly home association fees and the household expenses. Thus, you have to take being financially prepared seriously before you even decide to buy your own house. 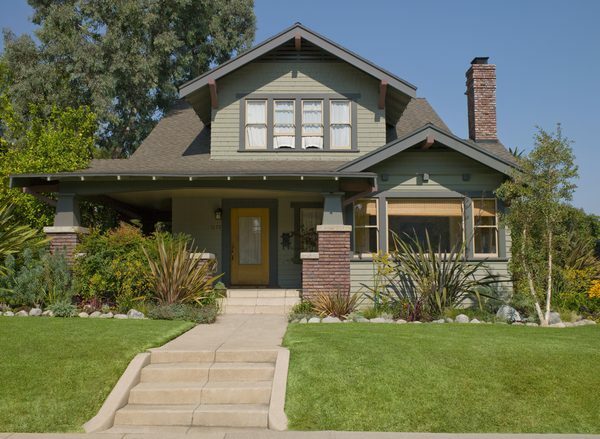 When house-hunting, make sure that you have a checklist with you. The list should include the must-haves against nice-to-haves. Never compromise a must-have with a nice-to-have. Any nice-to-have will only lure you into paying more than what’s necessary. Rare are those circumstances when a home-buyer found everything she or he needs and wants for a house that is within her or his budget. The checklist will serve as a soft reminder in case you are deviating from the most important things. This is your point of reference when you need to make objective decisions especially when you are presented with two or more houses of choice. Fixer-uppers are okay if you have the money to invest in renovations. However, if the goal is finding a move-in ready house, look for deal breakers. Even newly developed homes could have them. Examples of deal breakers are old roofs, old ceiling, old windows, plumbing problems, flood zone, zoning rules, and electrical system problems, among others. Others are paint peels on the walls, cracks in the walls and floors, water stains on the ceilings and walls and uneven flooring. All of these are signs of future problems, and some of them may be very costly. No home-buyer is obligated to hire an agent. However, a real estate broker can do you several favors. A real estate broker has access to various home options that he or she can relate to you. The broker can also set appointments and negotiate for you. He or she can also act as a catalyst whenever you are getting too emotional with the buying process. When hiring one though, make sure that the agent represents you exclusively. Yes, there are unfortunate scenarios involved in buying a house, especially for first-time home-buyers. However, make the entire process easier for you by learning at least the basics of home-buying. The information above aims to help so you’d appreciate the process more.